For general information, please call (859) 344-1925. Training materials, product manuals and other available documentation can be found on the individual training page for that product. Product downloads can be found on the product site downloads page. Chat support is available to customers with Car-Part Messaging™. Click here to learn more. 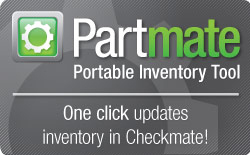 Recycler Executive Roundtables are for owners and managers of facilities using the Checkmate management system. Learn more about Checkmate here. If you're a recyler interested in supplying your VIN info, call Roger Schroder at (859) 344-1925.